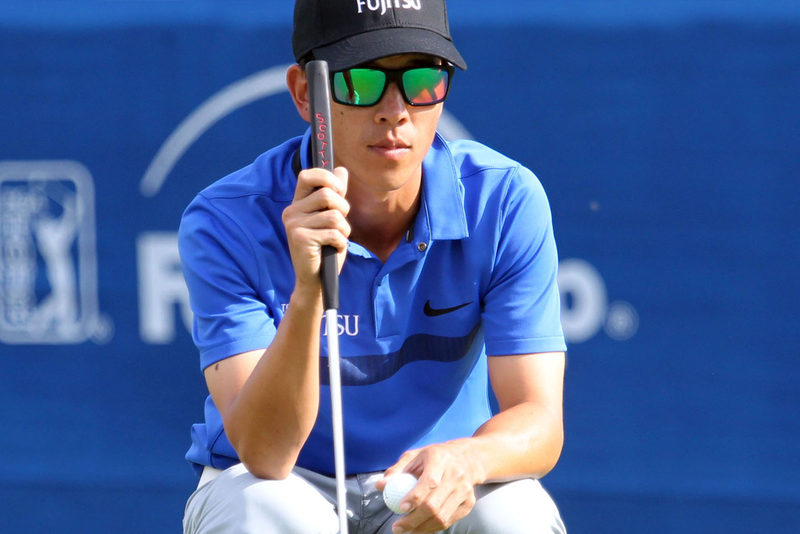 Jared Sawada of Mililani sported a Fujitsu logo hat, shirt and golf bag at the 2017 Sony Open held on January 13-15, 2017 at the Waialae Country Club. Jared is a 26-years old and a University of Hawaii alumni. This was Jared’s second appearance in the Sony Open.